Our Premium Royal Jelly was reviewed as the 'Best in the UK' by The Mail on Sunday! As Featured In Dr. Christian Jessen's Magazine 'Ask The Doctor'. 30 DAY MONEY BACK GUARANTEE! - TO BE ELIGIBLE FOR THIS TRIAL YOU MUST CONTACT US BEFORE YOU PURCHASE....CLICK HERE FOR MORE INFORMATION! 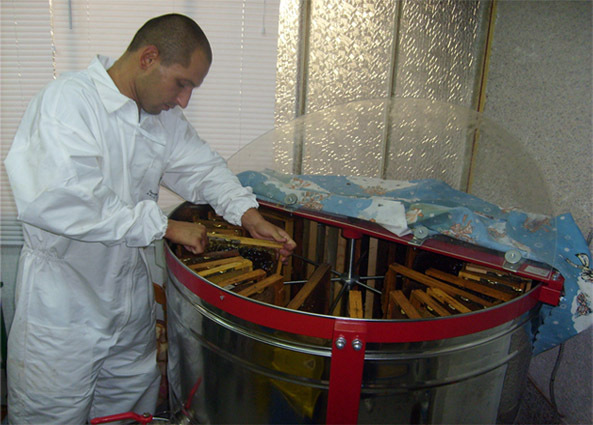 Well Bee-ing UK LTD (WBUK) are a family business with relations in Bulgaria EU whom, as a family, have taken Pure Royal Jelly, Honey and other Bee Products for many years. We have personally witnessed the difference that Fresh Royal Jelly can make and created the company to spread the word. 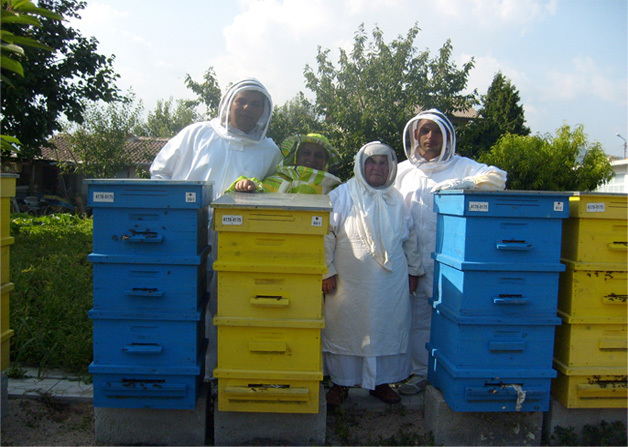 Our Bulgarian Bee Farm is over 100 years old and is one of the oldest and most respected beekeepers in Europe. Our Bulgarian sourced Premium Royal Jelly is the MOST POTENT available bringing the fastest results, containing 2.86% 10-HDA - 10-HDA is the unique active ingredient in Royal Jelly, which is also the main key indicator for how potent it is. The more potent the faster the results! Please select from the drop down box below for your shipping requirements - N.B. If you chose Next Day Delivery before 13:00 between Monday-Thursday, we will despatch your order the same day. We do not despatch on Fri/Sat/Sun. Contains 2.86% 10-HDA - Record Breaking Strength! We have literally hundreds of repeat customers who have used our Royal Jelly for years and are 100% satisfied - otherwise they wouldn't come back. We have extensive customer feedback about the effectiveness of our Royal Jelly for many conditions. With just 1/4 teaspoon per day, it provides concentrated doses of 10-HDA (the most important active ingredient), plus a whole lot of other nutrients. Also, it has a low glycemic index, so it is perfect for diabetics. We are so confident about the effectiveness of our Royal Jelly, we even offer a 30 Day Money Back Guarantee . Our Royal Jelly is frozen to below -18C within hours of harvesting, bringing to you the freshest possible. Decades of research shows that the best way of maintaining maximum nutrition without altering the composition is by freezing to -18C. Why Don't We Sell Royal Jelly in Capsules? The process of producing Royal Jelly Capsules in any form destroys delicate nutrition, dramatically reducing the effectiveness and the health benefits. That's why at Well Bee-ing UK, we only sell 100% Pure Fresh Royal Jelly - the way nature intended it! Lyophilised Royal Jelly is where the Royal Jelly is freeze dried removing all water content - this process damages and alters the composition of many nutrients. Fresh Royal Jelly can also be put into capsules and is sometimes mixed with various oils, honey, herbs etc. These substances do not preserve Royal Jelly and it is impossible for these capsules to be potent since Royal Jelly is perishable if not kept refrigerated. If these capsules are left at room temperature for months, the nutrition would have been severely degraded and in no way can the Royal Jelly still be fresh or even potent. Can You Take It When Trying To Conceive? Yes, you can take our Pure Royal Jelly when trying to conceive. You can also take it throughout your pregnancy and while you are breast feeding. Many celebrities including Princess Diana took Royal Jelly before and after their pregnancies. However, if you are not taking Royal Jelly before you become pregnant, we would not recommend you start taking it while already pregnant. Although rare, there is a risk that the mother may be allergic to Royal Jelly and if this reaction is severe, it could pose a serious threat to an unborn baby. Please don't hesitate to contact us if you need further clarification. Always speak with your G.P. before taking any new products especially while pregnant. 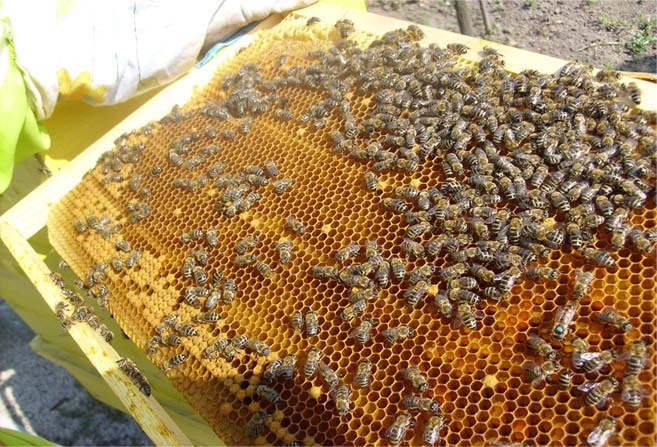 In the Bee Hive, over 90% of the bees are infertile female honey bees - they do not have any ovaries or reproductive system and so are incapable of giving birth to new offspring. The Queen Honey Bee is genetically identical to all the females and begins life infertile. All the bees in the bee hive are fed Royal Jelly for the first three days as bee larvae. However, the Queen Bee is given Royal Jelly for her entire life. and this accounts for many impressive biological changes. Is it Safe for Diabetics to Take? Our Royal Jelly has a low glycemic index. It contains around 11% simple monosaccharides which are readily available for the body, making our Royal Jelly the perfect health supplement for diabetics. 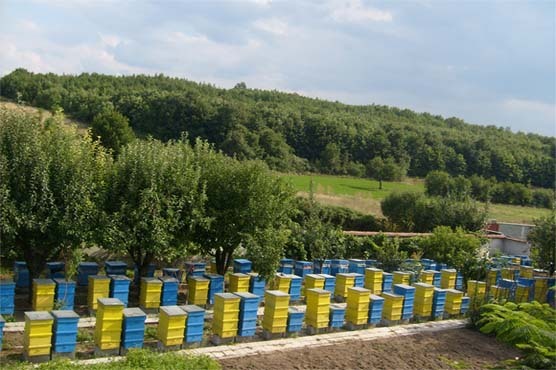 In Bulgaria, our Bees are exposed to a beautiful climate which gives vast diversity of plant life. Bees are the best pollen collectors in the world and they know which variety of plants bring about the best nutrition. Our Premium Bee Pollen is made up of some of the finest nutrition nature can offer and it has minimal processing bringing to you some of the most nutritional substances on the planet. Royal Jelly - Most Potent in the world!